191 p., 15,3 x 21,0 cm. K. R. Eissler reads the correspondence between Freud and Jung as if it were an epistolary novel of an acclaimed writer depicting the tragic friendship between an older and a younger man. The psychological analysis of this friendship is followed by ›Ansätze zu einer Pathographie von C. G. Jungs Persönlichkeit‹ (Approaches to a Pathography of C.G. 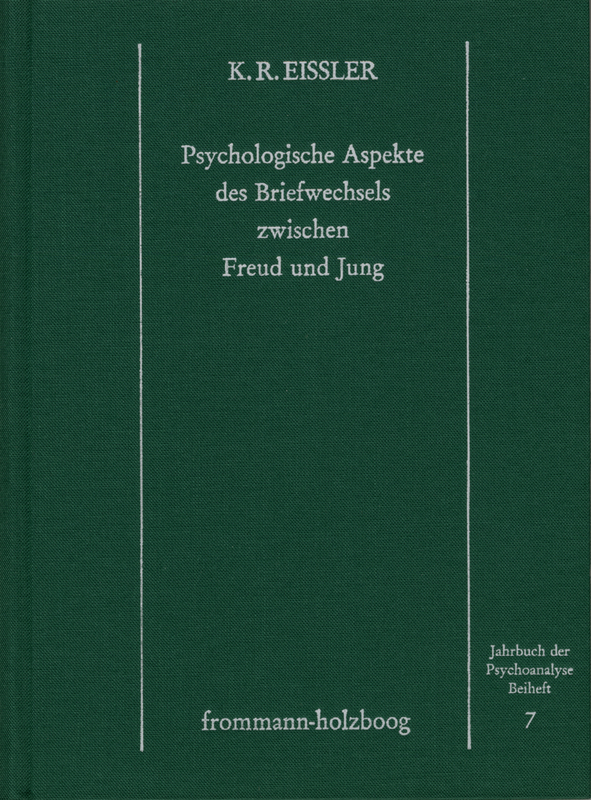 Jung’s Personality) and the study of C. J. Groesbeck’s work 'The Analyst’s Myth: Freud and Jung as each other’s Analyst'. In the final chapter ›Historical Nachgedanken‹ (Historical Afterthoughts) Eissler comments on the split in the young science of depth psychology.